This is automatic transfer of money to your chosen account, at frequency and under conditions specified by you. It is convenient for customers who have to effect at a certain time standing payment orders fixed in advance and who are willing to facilitate the daily management of their finances. Periodic transfers allow you to save the time of your company’s accounting staff and facilitate the management of finances. Your accounting staff will be spared the need to check all invoices and always keep in mind their payment date. Invoices for services provided to your company will be always paid in time, if there are sufficient funds in the company’s bank account. Swedbank’s customers tend to use periodic transfers to make insurance, leasing, rent payments and to extend their subscription. The rate of a periodic transfer is the same as for a corresponding ordinary (local or international) transfer via Swedbank’s Internet Bank. You can develop your standing payment orders' schedule with Swedbank covering standing payment orders that are effected most often. A separate agreement shall be concluded for each payment and related to one standing payment orders effected under conditions specified by you. In observance of frequency designated by you, the Bank shall transfer the required amount from your bank account according to the conditions established under the agreement. Standing payment orders may commence on the day of signing the agreement with the Bank. Payments shall be carried out in sequential order of concluded agreements, starting from the agreement concluded on the earliest date. On the day of payment the Bank shall examine your bank account. If there are enough funds in it, the order shall be effected. If on the payment day the funds in the account are insufficient, the Bank shall 3 days check your bank account and effect the payment if the amount of funds in it is sufficient. Domestic and international payments may be effected periodically. Periodic transfers under the open-ended periodic transfer agreement will continue until the termination of the periodic transfer agreement. Standing payment order conditions specified in the agreement may be changed or payments terminated at any time where appropriate. Visit the nearest customer service branch of the Bank and sign the standing payment order Agreement. You can also enter into the agreement via internet bank: fill in the standing payment order form fields or select one of the available defined payment, check the filled in data and then confirm the standing order agreement. 1.1. Account – the Payer’s account with the Bank specified in the Agreement. 1.2. Account Agreement – a bank account agreement concluded between the Payer and the Bank accordance to which the Bank opened the Account for the Payer. 1.3. Agreement – the Standing Order Agreement concluded between the Payer and the Bank. 1.4. Agreement currency – the currency specified in the Agreement. 1.5. Bank – Swedbank, AB, legal person’s code 112029651, address: Konstitucijos av. 20 A, 03502 Vilnius, phone: +370 5 2684444, fax: +370 5 2582700, e-mail: info@swedbank.lt, internet webpage: www.swedbank.lt; data about the Bank are collected and stored in the Register of Legal Persons of the Republic of Lithuania; the Bank is engaged in the provision of financial services and holds the banking licence No 11 issued on 28 December 1993 by the Bank of Lithuania (address: Gedimino av. 6, LT-01103 Vilnius, phone: +370 5 2680029, fax: +370 5 2628124, e-mail: info@lb.lt, internet webpage: www.lb.lt). 1.6. Bank business day – as defined in the Payment Conditions; however, where the Payee’s account is opened with the Bank, the business day of the Bank shall be each calendar day. 1.7. Conditions — these Standing Order Service Conditions which constitute an inseparable part to the Agreement. 1.8. Consumer – a Payer, who is a natural person and who acts in the interests that are not connected with trade, business or professional activities performed by him/her. 1.9. Cross-border payment order – a Payer’s payment order presented by this Agreement when the Payee’s account is in the Payee’s bank which is in the country other than the Republic of Lithuania and also when funds in other currency than euro are transferred to the account at the Payee’s bank, which is in the Republic of Lithuania. 1.10. Fees – the Services and Operation Fees of the Bank. 1.11. General Conditions – the General Conditions of Dealing with and Servicing the Customers of the Bank. 1.12. Intermediary bank – a credit institution which is not the Bank or the Payee’s bank, but which participates in the execution of the Standing order. 1.13. Payee – a legal or natural person specified in the Agreement who receives the funds transferred on the basis of the Standing order. 1.14. Payee’s bank – a payment institution specified in the Agreement where the Payee has the account to which the funds of the Payer must be transferred. 1.15. Payer – a legal or natural person who has concluded the Standing Order Agreement with the Bank (hereinafter – the Agreement). 1.16. Payment Conditions – the Payment Service Provision Conditions of the Bank. 1.17. Standing order – the transfer of the amount of funds specified in the Agreement, to the Payee’s account on the basis of the payment order submitted to the Payer’s bank under the Agreement and within the time limits, periodicity and Agreement currency specified in the Agreement or where the Agreement does not specify the payment amount – the transfer of all amounts of funds held in the Account, leaving only the amount equal to the minimum Account balance after the payment, provided that such balance is specified. 1.18. Standing order payment day – the day set according to the first payment day and periodicity specified in the Agreement, and where such day is not a business day of the Bank – the next business day of the Bank. In the case referred to in Article 4.4 of the Agreement, the Standing order payment day shall be the day on which the required amount of funds in the Agreement currency is credited to and available in the Account at the time specified by the Bank and where such day is not a business day of the Bank – the next business day of the Bank. 1.19. The term ‘Standing order’ used in this Agreement shall also include the term ‘Cross-border payment order’ unless the Agreement specifies or its context requires otherwise. 1.20. Other terms used in the Agreement shall have the meaning specified in the Payment Conditions. 2.1. The Agreement regulates relations between the Bank and the Payer arising when the Bank executes Standing orders. 2.2. Payments specified in the Agreement (fees, fines, interest, etc.) shall be debited from the Account and in cases specified by the Agreement the currency shall be converted in accordance with terms and conditions of the Account Agreement. The Payer shall authorise the Bank to debit, without a separate instruction, the fees specified in this paragraph and other amounts from other Payer’s accounts with the Bank in accordance with terms and conditions of account agreements concluded between the Payer and the Bank. 3.1. 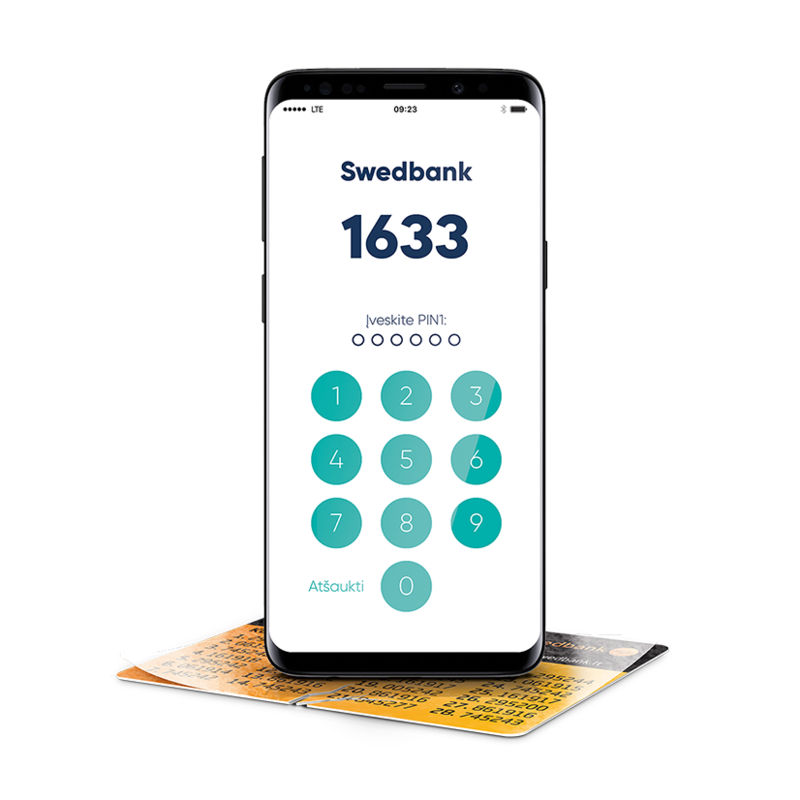 The Agreement may be concluded at the Bank branch, via Swedbank Internet bank (hereinafter – the Internet bank) and by phone in the cases specified by the Bank. The Agreement concluded via the Internet bank or by phone shall have equal legal value with the Agreement concluded at the Bank’s branch. 3.2. In the case when the Agreement is concluded over the phone, during the conversation, the Bank shall identify the Payer in the manner established by the Bank. During this conversation, the Payer and the Bank shall agree on the conditions specified in the Special part of the Agreement. 4.1. The day of receipt and execution of the Standing order shall be the Standing order payment day. The Standing order shall be executed within the time limit specified in the Fess. 4.2. The amount of funds needed for the execution of the Standing order shall be debited by the Bank from the Account on the Standing order payment day. 4.3. The Standing order shall be executed only if on the Standing Order Payment day, at the time specified by the Bank, there are sufficient funds in the Account to execute the Standing order. If there are enough funds, but they are insufficient for payment of the fees to the Bank, Bank shall execute the Standing order and the amount of fees unpaid to the Bank shall be considered to be the debt to the Bank. If there are not enough funds in the Account in the Agreement currency, the Bank, without a separate instruction of the Payer, shall convert the required amount in other currency held in the Account into the Agreement currency and transfer it to the Payee’s account, except where the Agreement specifies that the Payer does not agree with such conversion of funds. 4.4. Where the Agreement specifies that the Payer does not agree with the conversion by the Bank of the required amount in other currency into the Agreement currency without separate instruction of the Payer and transfer it to the Payee’s account, the Bank shall execute the Standing order when within the next 3 (three) calendar days of the Standing order payment day (including the Standing Order Payment day) the amount required for the execution of the Standing order in the Agreement currency is credited and available in the Account at the time specified by the Bank. 4.5. Where the Standing order amount is not specified in the Agreement, the Bank, on the Standing order payment day, shall transfer to the Payee’s account the funds held in the Account in the Agreement currency. Where the funds in the currency other than the Agreement currency are available in the Account, the Bank shall not convert such funds into the Agreement currency and shall not transfer them to Payee’s account. 4.6. Where the Standing order amount in the Agreement is specified in per cent, the Bank, on Standing order payment day, shall calculate the amount of funds, comprising the specified share (percentage) from all funds available in the Account on that day at the time specified by the Bank in the Agreement currency and transfer this amount to the Payee’s account. 4.7. Where the Payer specifies in the Agreement the minimum Account balance remaining after the Standing order, the Bank shall execute the Standing order only if after the execution of the Standing order the balance of funds remaining in the Account in the Agreement currency is larger or equal to the minimum Account balance specified in the Agreement. 4.8. Where the Payer has concluded more than one Standing order Agreement with the Bank and the execution day of the Standing orders executed under such agreements coincides, the Bank shall execute the standing orders in chronological order of conclusion of the agreements starting with the earliest Standing order Agreement. 4.9. The Bank shall not be liable for mistakes of the Payee’s bank and/or late crediting of the Payee’s account by the Payee’s bank and in the cases where the Payer does not specify data required by the Payee’s bank necessary for crediting of transferred funds to the Payee’s account. 4.10. For the Payer’s debt in the Account specified in paragraph 4.3 of the Agreement, the Payer shall pay penalty or interest at the rate specified in the Account Agreement/the Fees. Interest shall be calculated from the debt amount, considering that the year has 360 days and the month – the calendar number of days. Interest shall accrue from the first day of indebtedness and shall be calculated until the day of extinguishing of the full debt. 5.1. For the execution of the Standing order and other services provided in accordance with the Agreement the Payer shall pay the fees at the rate fixed in the Fees. 5.2. Fees charged by the Bank, Intermediary bank(s) and Payee’s bank for execution of a Cross-border payment order shall be shared between the Payer and the Payee or shall be paid only by the Payer, as specified in the Agreement. 5.3. Where the Standing order is returned for reasons that do not depend on the Bank (e.g., through the fault of the Payee’s bank or of the intermediary bank chosen by the Payer or of any other intermediary bank, incomplete or insufficient requisites, etc. ), the amount of the Standing order shall be returned to the Account, the fees paid by the Payer shall not be refunded, interest and/or penalties for the delayed term of execution of the Standing order shall not be paid and the Account shall be debited with expenses related to the repayment of the funds. 6.1. The Payer, who is to be regarded to be a consumer under law, shall have the right to withdraw from the Agreement within 14 (fourteen) calendar days of the day of its conclusion by submitting the withdrawal notice to the Bank against signature at any branch of the Bank or in any other manner specified by the Bank. The period of notice of 14 (fourteen) calendar days shall be considered not delayed when the notice (submitted on paper or in another durable medium accessible to the Bank) is sent before expiry of the time limit set for withdraw from the Agreement. Where the Payer fails to exercise the right of withdrawal from the Agreement within 14 (fourteen) calendar days of the day of its conclusion, the Customer shall lose such right. 6.2. Where the Payer exercises the right of withdrawal from the Agreement within 14 (fourteen) calendar days of the day of its conclusion, the Payer shall pay, within the time limit set in the Agreement, only for the financial service actually provided by the Bank under the Agreement. 7.1. The Payer, who believes that the Bank has breached his rights or other interests protected by laws, initially, no later than within 3 (three) months of the day on which the Payer became or should have become aware of the infringement of his rights or legitimate interests, must apply in writing to the Bank and specify his request and circumstances of the dispute. The Bank shall examine the request of the Payer and shall respond to it it within the terms specified in the Payment Conditions. The requests referred to this paragraph shall be examined by the Bank free of charge. Where the Payer, who is to be regarded to be a consumer under law, is not satisfied with the Bank’s response or has not received the response within the aforementioned time limit, the Payer shall have the right to apply to the Bank of Lithuania (address: Žirmūnų g. 151, LT-09128 Vilnius, internet website: www.lb.lt) with respect to the activities of the Bank that are supervised by the Bank of Lithuania, for the out-of-court settlement of disputes in accordance with the procedure laid down by laws. Requirements for such application shall be laid down by the Law of the Republic of Lithuania on the Bank of Lithuania and by the Law of the Republic of Lithuania on Consumer Protection. 7.2. Disputes arising between the Bank and the Payer with respect to the Agreement and/or its performance shall be settled by way of negotiations. If the negotiations fail, the dispute shall be settled accordance with the procedure laid down by laws of the Republic of Lithuania before the competent court of the Republic of Lithuania. 8.1. The Agreement shall enter into force from the moment of its conclusion and shall be valid until expiry of the time limit set in the Agreement. Where the Agreements is concluded by phone, the Agreement shall be considered to be concluded from the moment when the Payer, in the manner referred to in paragraph 3.2 of the Agreement, agrees with the Bank on conditions provided for in the Agreement. Where the Agreement is concluded via the Internet Bank, the Agreement shall be considered to be signed by the Payer when the Agreement is accepted by the Payer or by the payer’s representative using the personal identification tools issued to him. The Agreement validity may be defined by the calendar date, by the number of Standing orders or by the total amount to be paid. Where the Agreement does not specify the validity period, the Agreement shall be open-ended. 8.2. The Bank shall have the right to unilaterally amend the terms and conditions of the Agreement in accordance with the procedure laid down in the Payment conditions. 8.3. The Payer shall have the right to unilaterally terminate the Agreement notifying the Bank in writing or by other means acceptable to the Bank 5 (five) calendar days in advance. 8.4. The Bank shall have the right to unilaterally terminate the Agreement notifying the Payer in accordance with the procedure laid down in the Payment conditions. 9.1. The pre-contractual relationships of the Parties and their relationships related to the conclusion, performance, termination of the Agreement, liability, jurisdiction, etc. shall be governed by law and legal acts of the Republic of Lithuania. 9.2. The language to be used when concluding the Agreement, providing information related to the Agreement and in other relationships between the Payer and the Bank shall be the Lithuanian language, unless the Payer chooses another language acceptable to the Bank in which the Bank offers to provide the information. 9.3.3.	he agrees that performance of the Agreement shall begin on the day of its conclusion, i. e. before expiry of the notice period of 14 (fourteen) days for withdrawal from the Agreement. 9.4. Paragraph 9.3 of the Agreement shall apply only when the Agreement is concluded by phone.